Apple fandom has always verged on the irrational – but things are starting to get out of hand as numerous Ukrainian fanboys are changing their names to ‘iPhone 7’ after a local electronics store announced it will award the first five people who do so with free devices. 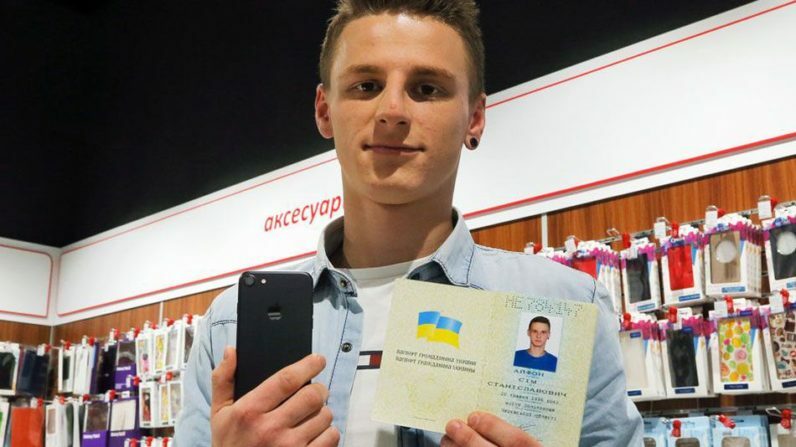 The first Apple enthusiast to claim a free phone was a 20-year-old man formerly known as Olexander Turin, who paid around $2 to legally change his name to iPhone Sim (‘sim’ means ‘seven’ in Ukrainian), AP reports. Upon receiving the prize, the 20-year-old said he intends to keep the name for the time being, but added that he might consider changing it back to its original state, when he has children. Turin, now known as Sim, wasn’t the only one to take advantage of the extravagant offer. Ukrainian news outlet TSN reports that at least two more individuals have opted to legally rename themselves to ‘iPhone 7’. Ukrainian laws do not restrict the number of times you can legally change your name, which means the winners will get a chance to reclaim their real names, if desired. Compared to the measly $2 the devoted fanboys had to pay in legal fees for the name-changing procedure, iPhone devices retail at around $850 in Ukraine – so it’s not such a bad deal after all. Still though, it’s pretty sad that people are willing to go through all of that hassle just to claim a free iPhone.